Looking for a great way to stream music or video from YouTube without the need of internet connection? Would like to be able to save a song you have enjoyed on YouTube to computer for collection? If the answer to either of these questions is yes, then you are supposed to get a fast YouTube Downloader. YouTube is the world’s biggest video and music sharing website. The website offers free online video and music streaming, sharing and much more. But if you have a slow internet connection, you'll find that streaming videos can be a pain. Even worse, YouTube doesn’t allow users to download right away. So a great YouTube Downloader will help you download videos or music from YouTube and save them in the format of your choice. In this post, we pick up top 4 best free YouTube downloader software for you to free enjoy YouTube videos and music. 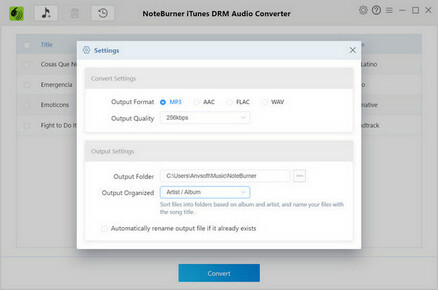 Any Video Converter Free is a Free YouTube Downloader with Multi-functions additional, which includes an online video downloader and converter which automatically downloads YouTube videos in one step. Besides, there are also several other useful tools included such as an audio extractor, Facebook and other 100+ sites Downloader, DVD burner, Blu-ray disc burner and even a basic video editor. The YouTube downloader is one of the most useful aspects of Any Video Converter as it simply requires users to paste-in a YouTube URL, click OK, and the videos are downloaded immediately. 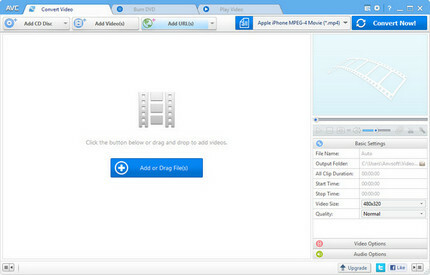 Once downloaded, users can be converted to MP4, MOV, AVI, WMV, MPEG, VOB, 3GP etc. Step 1: Click "Download +" Button and paste YouTube URL to the pop-out box. Step 2: Click Download Button, choose video download format and start downloading. 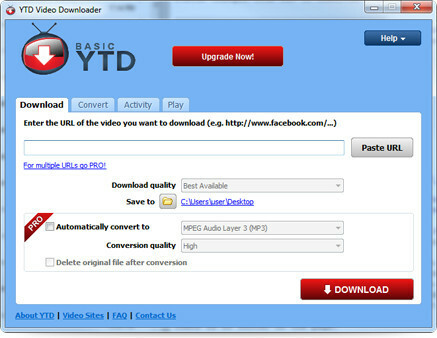 YTD Video Downloader is simply an excellent tool for saving your favorite video clips from YouTube and other video websites. It allows you to download HD and HQ videos, from dozens of sites and convert them to other video formats. The program also allows you to convert downloaded videos for iPad, iPod, iPhone, PSP, Cell Phone, Windows Media, and XVid, or play video that you have previously downloaded or converted. The YTD Video Downloader interface includes a tabbed format for easy downloading, converting, and playing, and a new Activity tab allows you to keep track of multiple downloads and conversions in real time. 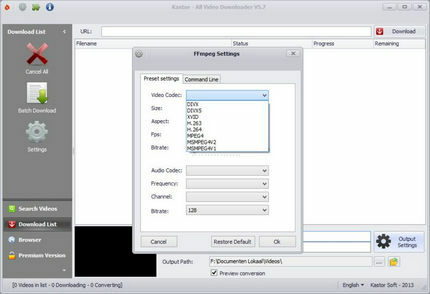 4K Video Downloader is a download manager for YouTube content that captures video or audio of a particular clip, and enables to download 4K resolution video (4096*2160, 3840*2160) without image degradation, thus you can play them back on your computer, iPad, or use them for DVD burning and further editing. 4K Video Downloader lets you capture high quality video or sound clips from YouTube. All you need to do is copy the URL of the video you want to capture. Then just click 4K Video Downloader's "Paste URL" button and choose the quality you want to save it as. You will also be prompted as to whether you want to save the video or simply an MP3 audio recording of the sound. All Video Downloader is free software that allows you to download all videos from many video streaming sites such as YouTube, Dailymotion, Vimeo, and others. It includes a search engine for finding videos and it allows you to add video URLs of your choice. The software lets you filter the sites that perform the searches and display the corresponding results as a list or thumbnails. You can preview the videos directly in the interface of All Video Downloader and even use the built-in browser to search, watch and download videos. If you want to download the music directly from Spotify, you can buy the full version to unlock the "Spotify Record" mode. Want to play YouTube songs and videos offline on portable devices? Are trying your best to search for the best free YouTube downloader to download the YouTube sources and watch them offline rather than subscribing YouTube Red with $9.99 a month? You have come to the right place. Here we list top 4 free YouTube Downloader to help you download YouTube music and video for free. You can download them for a try, and then choose the best fit from them based on your experiences.